Registration for your ATV, Scooter, Dirt Bike, or Motorcycle! Registration for your new purchase does'nt have to be a pain in the neck! Every state may differ in laws, but the paperwork provided with your purchase will not. There are some differences in off-road and on-road vehicle registration. Here we will discuss off-road first. Your new ATV, Dirt bike, Go-Kart, etc. can not be driven on the highway legally. Therefore, in most cases, insurance will not be madatory. You will recieve a MSO and a bill of sale. The MSO is issued because the vehicle has never been titled before. Some Off-road vehicles will have the MSO (manufacturer certificate of origin) included in the crate with the vehicle. Some will have to be shipped seperately. In any event, this certificate along with a bill of sale must be filled out. In my state(Louisiana), these items must also be notarized. Also in my state, they must be brought to the local DMV. There the buyer has to pay sales tax, title, and state decal fee. In Louisiana, an off-road vehicle must bear a state issued decal to be operated in public areas such as parks, or even in a trailer or pick-up on a public road. If it does not have this decal, any peace officer may ticket the owner or confiscate the vehicle. Your state may be different, but in Louisiana, this decal proves that sales tax has been paid and registars the vehicle to its owner. Check with your state BEFORE you purchase to avoid disappointment. CLICK HERE FOR ARTICLES ABOUT CHINESE ATVS! On-road vehicles such as scooters and motorcycles are a little different. Registration for these vehicles involves a little more paperwork. The reason? Insurance mainly. These vehicles will be operated on public highways so therefore if your state requires you to have insurance on automobiles, you have to have it on these as well. Just like the off-road vehicles, you will get a MSO and bill of sale. In some states, notarization is required on these. However when reporting to your local DMV to pay tax, title, and license fees, you will have to bring along proof of insurance. Most, if not all DMVs will require you to bring your driver's license as well. Which brings up the next point.... Motorcycle endorsements. 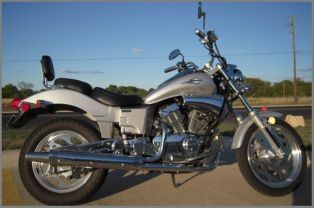 In my state, an endorsement is not needed to register your motorcycle or scooter, but it is needed to legally drive it. You can get ticketed if caught driving without it. You should check your state law to be sure. Call your local DMV. 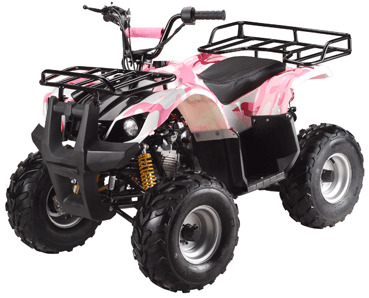 Click here to compare China ATVs to Japan brands! In my state, you will recieve your license plate and registration on the spot when you pay tax, title, and license. Or tax, title, and decal on off-road vehicles. The MSO then is turned into a title and mailed to you in a few days. A special note is how long after the sale you may wait before going to pay your taxes on the purchase. In my state you have 40 days from the date of the sale before your taxes are considered late and penalty and interest are due. Each state is different here. You should again check with your state to be sure. Also, you will not have a license plate during this time to legally drive your on-road vehicle. A quick call to your local Department of Motor vehicles can save alot of time, headache and trips to the DMV.